and conduit reels, with an innovative Flexigrip Solution. It's accident preventive and very labour saving. It's a grab for excavators, truck cranes and forklifts that will handle cable drums and conduit reels in a safe and efficient manner. It makes it possible for the operator to grab the drum and spool cable and conduits off/on a reel without any co-worker involved. It can also be equipped with other tools for different tasks. Please check out the excavator model concept presentation video below. This concept is patent pending and can be licensed. Exclusive rights for specific regions or worldwide available. It is a very interesting case for the Heavy Equipment attachments manufacturing industry. Now you have the opportunity to grab a new unique product that could be exclusive for your business in many years to come. Handling cable drums and conduit reels could be a very dangerous work. Especially if you are using the type of drum lifter on the photo below. It's unbelievable they're still in use these days. Cable drums and conduits should always be handled in upright position. No manufacturer of wooden cable drums and conduit reels would approve this tool for safe handling of their drums and reels. It's just an invitation to dangerous situations. A coworker used as a pendulum and rotation controller is facing huge gravitasion forces coming from all directions during cable unwinding off from the cable drum. It's a serious safety issue. 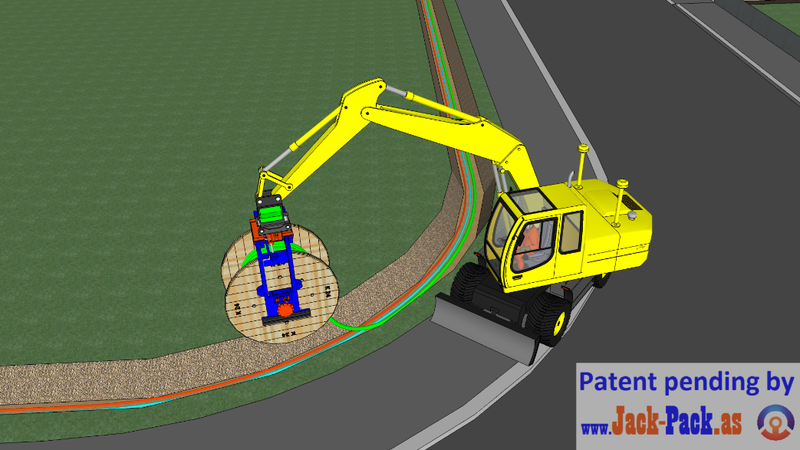 With Multigrab the operator can unwind the cable directly into the trench without any coworker involved at all. The operator can lay cables and conduits directly in the trench without any help from coworkers. 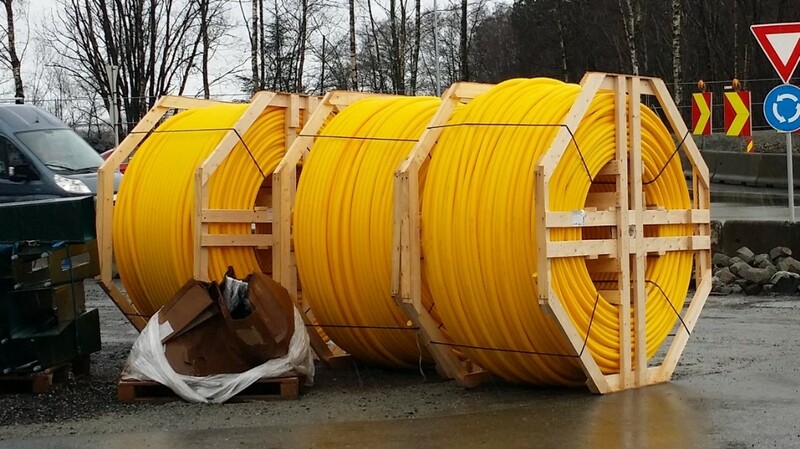 It's also a winch that can be used for cable pulling. 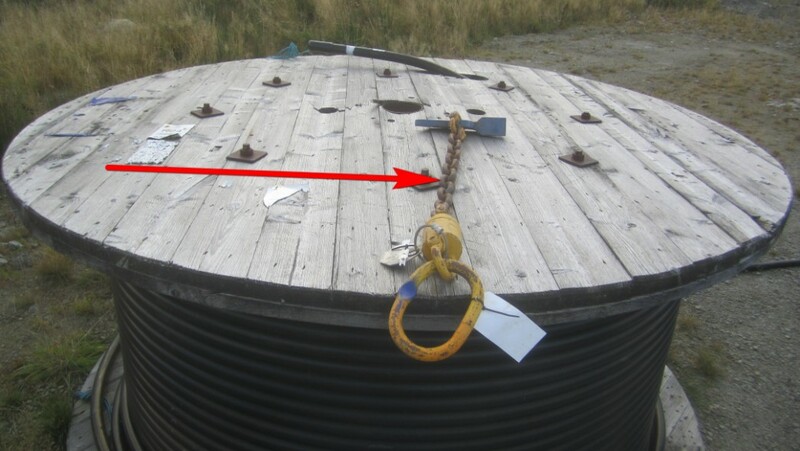 Grab the optional winch drum to pull cables through conduits. This solution substitutes a $100 000 trailer winch. Click on image to go to the excavator application page for more details. Click on the image to go to the truck crane section of the web page. And there is a forklift version, here a forklift with a Multigrab cable drum handler. Click on the image to go to the forklift section of the webpage. The Multigrab is innovative.laboursaving.versatile.efficient.a moneymaker.safe. Have thoughts? Add your comments below.